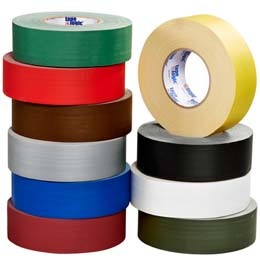 The ever popular Duct Tape is a multi-purpose tape. Used originally to repair duct work in HVAC systems, it is now used for many different purposes. Comes in various colors and strengths.